There's 19 sweet entries in total, so head on over to Super U.ca, register, and vote for your favorite between now and Tuesday, April 7th. To check out all the video, click here. Once the public voting is completed, the top 20% will move onto finals (at which point we'll be dropping another update announcing who's made it) and be judged by NS' very own el presidente Doug Bishop, his illustrious brother Dave and Poorboyz' Jeff Thomas. 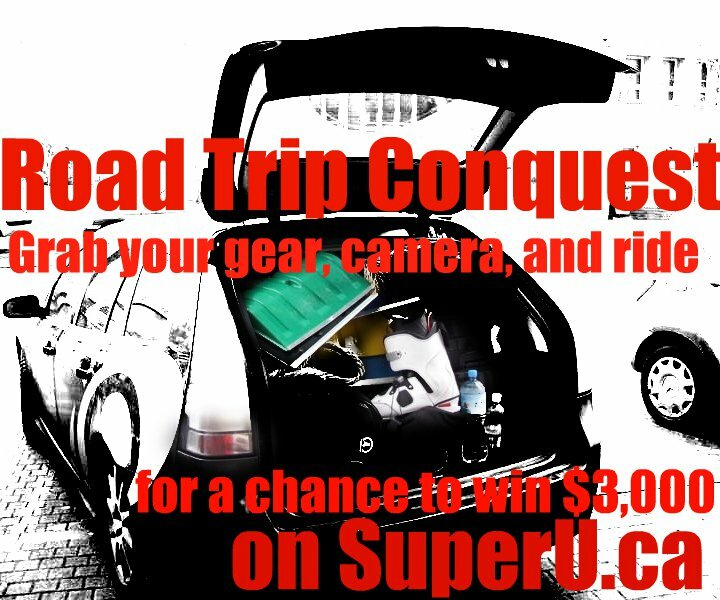 The winner will be announced on Super U.ca and right here on NS on Wednesday, April 22nd, and will be awarded $3000 CDN and the possibility of having their video shown on Super Channel. 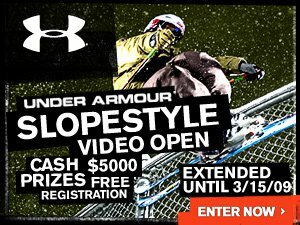 On the Under Armour Slopestyle Video Open front, we've gotten all of the entries together and made compilation videos of them (both of the following videos have the entries that qualified for finals). The first clip contains all of the entries and the second one is the just the men's (the first clip in the first video doesn't have sound for whatever reason, but don't fret, most of them after that do). All finalists must start getting their finals runs filmed and uploaded asap. Good luck! 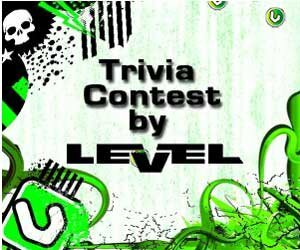 And last but not least, the third and final round of the Level Trivia Contest is now underway as well. 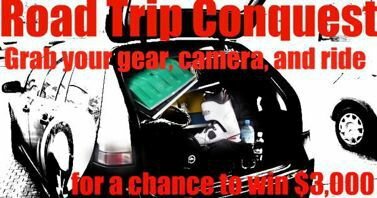 Click here to check out the latest batch of questions and enter to win yourself a sweet prize pack of goodies from the good folks at Level.